What’s trending? 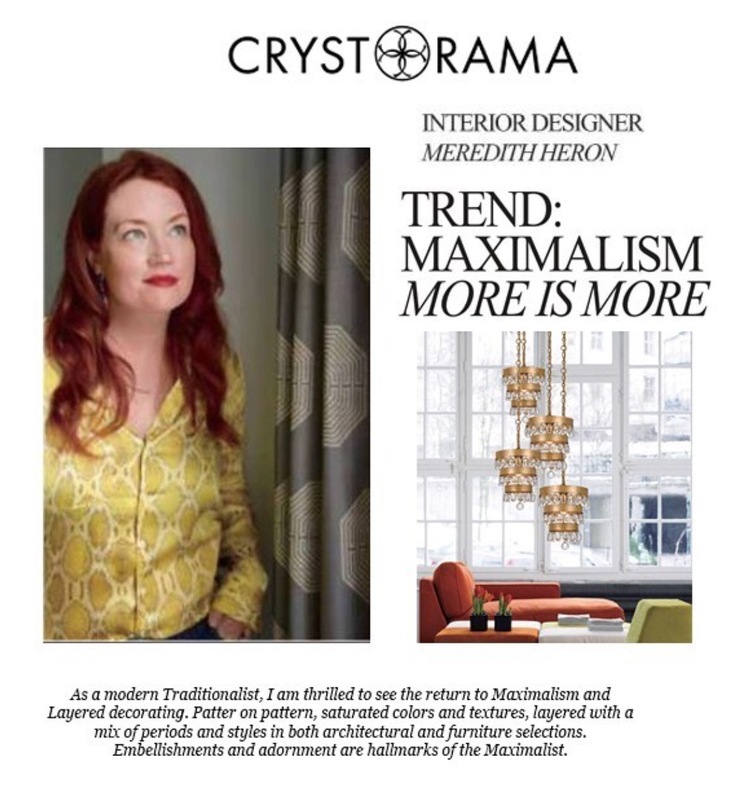 According to designer Meredith Heron “More is More” the return of MAXIMALISM and layered decorating. As we come off of the “less is best” minimalist craze in both interior and furniture designs, we are beginning to hear and see whispers about the come back of the traditionalist layered decorating. Patterns on patterns, saturated colors and textures, layered with an eclectic mix of periods and styles in furniture selections. Think embellishment when you think of Maximalism.